Henry County, IN has two Catholic churches, Saint Anne's of New Castle and Saint Rose at Knightstown. The first Catholic settlers were in New Castle as early as 1839. They attended mass whenever possible at Richmond. The first Priest to visit New Castle on official business was the Reverend William Doyle. He came from Richmond and celebrated mass in the woods near town. His first group for mass was a large group of Catholic railroad workers, too numerous to be accommodated in any existing building. This was around 1849. From 1849 until 1868 Father Doyle, the Rev. J. B. Merl, the Rev.Adgidius Merz and the Rev. J. B. Seepe, who lived in Richmond, ministered to the Catholics of New Castle. In 1871, the Rev. Joseph O'Reilly, first resident pastor of Saint Elizabeth's in Cambridge City, was given charge of Catholics in New Castle. The Rev. Vincent De Villas and the Rev Henman Alerding, later Bishop of Diocese of Fort Wayne, who purchased the site for the church in 1872, followed him. This first Saint Anne's church was located at twenty-first and Broad Streets, was completed in May of 1873 and was dedicated on May 25 of the same year by the Bishop Maurice de Saint Palais. The total church cost was $1,365.85. In August of 1881, a dwelling was purchased from Daniel Kissel for a Rectory, adjoining the church property, at a cost of $1,200. In November of 1881, the first resident pastor, the Rev. John Ryves, came to New Castle and from that time to the present there has always been a resident pastor. In 1884 there were about 37 families in the congregation. The site of the present church property at nineteenth and Broad Streets was the old Brown homestead and was purchased by Father James Holland on October 25, 1919 for $7,500. Father John J. Gallagher built the present church, laying the corner stone on July 29, 1923. It was completed on May 21, 1924. The present rectory was built in 1928 under the pastorate of Father Gallagher. The present congregation numbers approximately 750 souls. 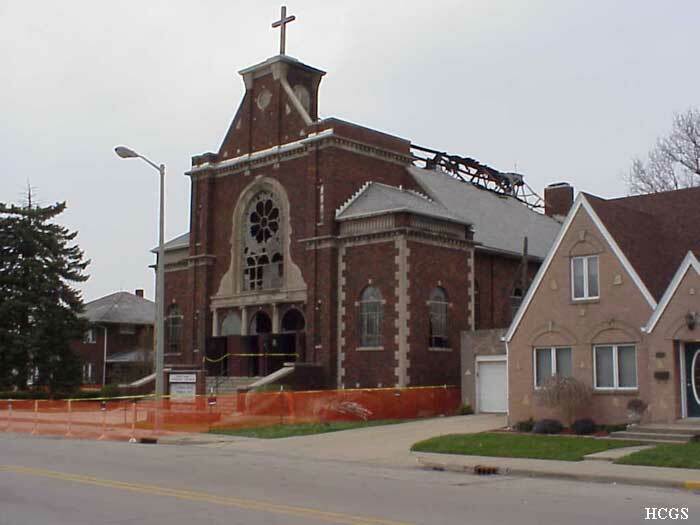 The fire started Saturday morning at St. Anne's Catholic Church in New Castle. The church was all decorated for Easter morning. 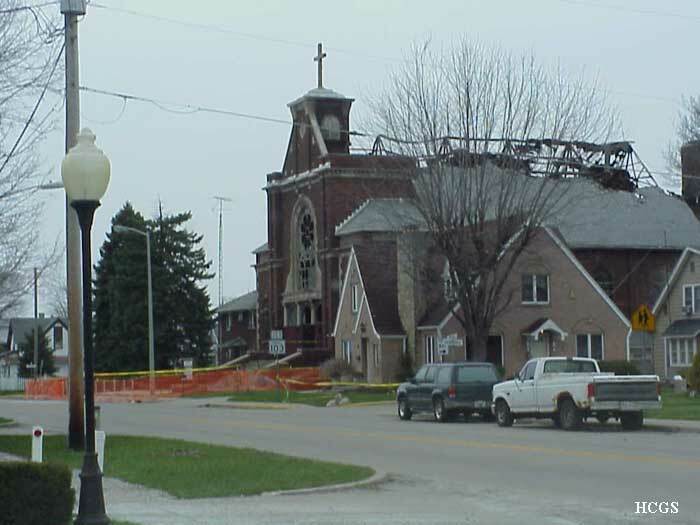 Now the church will be empty as the State Fire Marshal launches a criminal investigation into the cause of the fire. 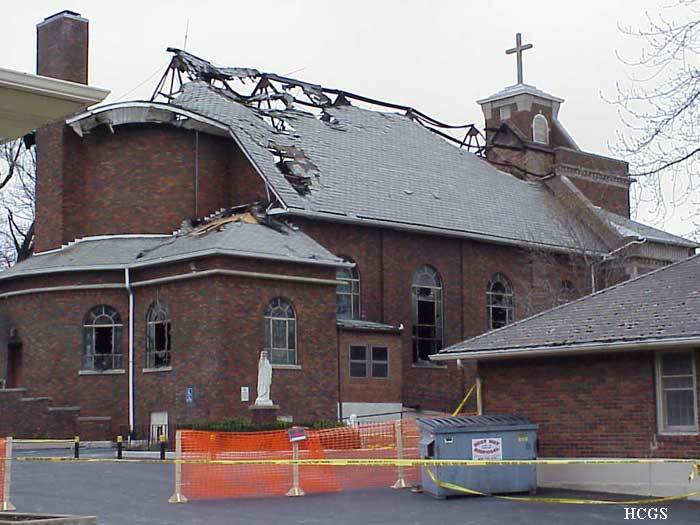 Sister Shirley Gerth knew there wouldn't be much to salvage at St. Anne's but she had hope. "If we're able, I want to see the tabernacle, and take out the consecrated host. It will be difficult to walk in," Sister Shirley said. The news that this fire wasn't an accident is hard to hear for Sister Shirley. "I would've wanted it to be anything but that." It wasn't easy for all those who have prayed here either. 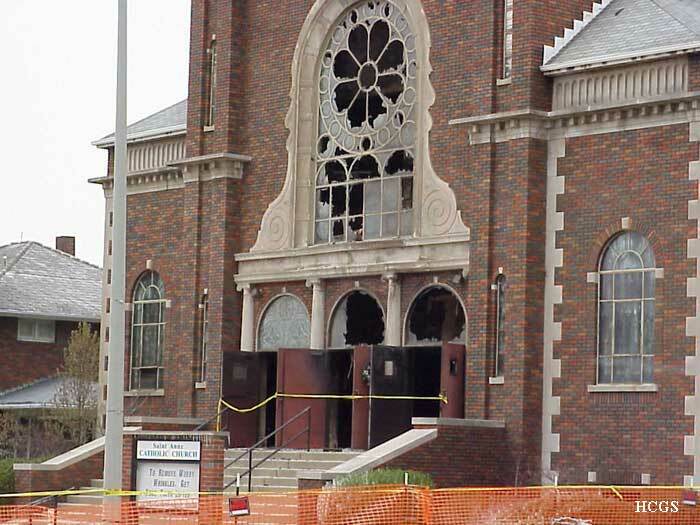 "It makes me mad and I know God has a reason for everything he does, and that's one of the first questions I'm going to ask him when I get up there, is why did you let this happen," parishioner Barb McCormack said. McCormack will greet guests Easter morning at a new location, Bundy Auditorium. She says it will give her friends a chance to cry together and reflect on why we celebrate Easter. "I think it's a sign to show us all we have to dig deeper and come closer together," McCormack said. Sister Shirley says there are lessons to be learned from this. "How do we take this now; and make new life come about, in a sense resurrect as Christ did for us." There is a lot of history with this church. Sister Shirley is hesitant to call it coincidence but the very first mass at this church was on Easter in 1924. "Mass has been celebrated so many times after that and it will be celebrated tomorrow and I think it shows our faith goes on," Sister Shirley said. Vandals also hit the church a week and half ago knocking over a statue. Investigators aren't sure if that incident is connected. Sunday morning, parishioners will head to Bundy Auditorium at the middle school for the 8:00 a.m. service.